Most people hear the word cachaça and immediately think of caipirinhas. After all, it’s the only way most Americans have ever tried cachaça, Brazil’s national spirit. Cachaça is the third-biggest-selling spirit in the world, with the vast majority of sales of course coming from Brazil. American cachaça sales are growing fast, though—up almost 30 percent from 2013 to 2014—but it’s still a tiny drop in the spirits bucket compared to whiskey or vodka. Cachaça is often called “Brazilian rum.” And until 2013, those words were actually required to appear on bottles sold in the United States. The categorization is within striking distance of the truth, but not really all that accurate. Cachaça is distilled from sugarcane juice, while almost all rum is distilled from molasses. If cachaça is similar to anything, it would be rhum agricole, which is also distilled from cane juice. But cachaça, at least in its unaged form, has a reputation as a rough-hewn, hard-to-swallow spirit—white rum meets firewater. The only way one could sensibly drink it, common wisdom held, was to temper it with the lime juice and sugar that make up a caipirinha. Enter the barrel. Cachaça, which has been around for close to 500 years, wasn’t traditionally barrel-aged. But in the last couple of decades the practice has caught on, using native Brazilian woods, as well as American and French oak. The result is a transformation of the whole category, with aged cachaças that can stand proudly alongside the finest sipping spirits. There are literally thousands of different cachaças available in Brazil. Until recently, only a handful of brands had made it into American and European bars and liquor stores. The following five bottles are among the best of what you’ll find in the States—and you don’t need lime juice or sugar to enjoy them. 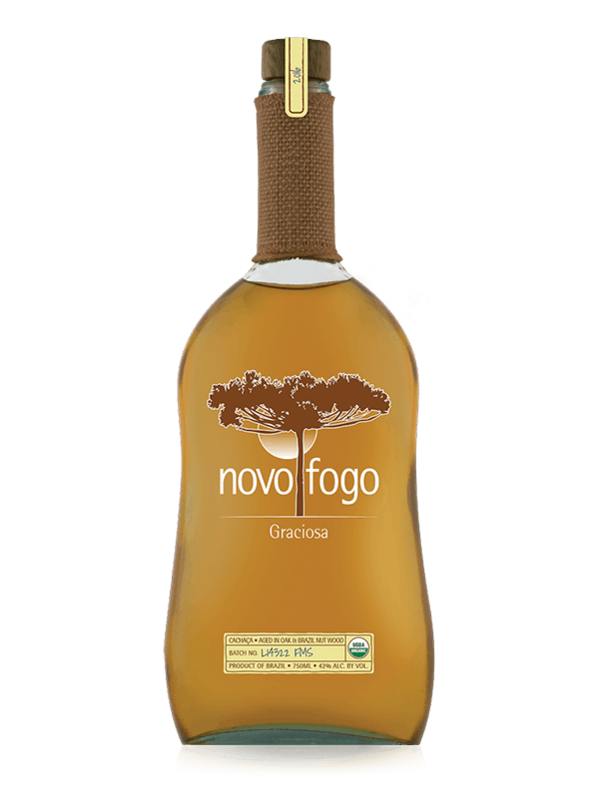 A limited-edition addition to Novo Fogo’s range of four cachaças, 2016 Novo Fogo Graciosa ($35) is a two-wood cachaça aged in repurposed oak barrels for two years, so the wood imparts a lighter touch than new oak. It’s then finished in castanhiera do Pará (Brazil nut) barrels for 18 months before bottling. The results are spectacular: Sweet cherry and almond notes dominate, with a creamy mouthfeel that makes it reminiscent of a cherry-topped crème brûlée. The finish reveals the grassiness of the sugarcane and a slight salinity, owing to the distillery’s proximity to the ocean. This would probably go great in cocktails, but it’s such a perfect sipper that it would seem a pity to mix it.